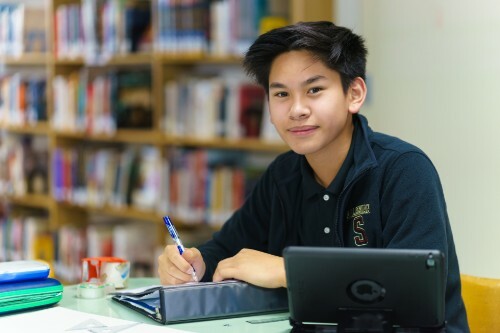 With a full complement of challenging courses and enrichment activities, the curriculum at Salesian College Preparatory positions students to be successful at top colleges and universities. It includes a broad number or AP, Honors and elective classes. The coursework moves students toward becoming educated, thinking, and responsible people in the modern world. Our accomplished faculty members - two-thirds of whom have advanced degrees - strive to foster intellectual curiosity and encourage students to develop creative skills and leadership qualities. 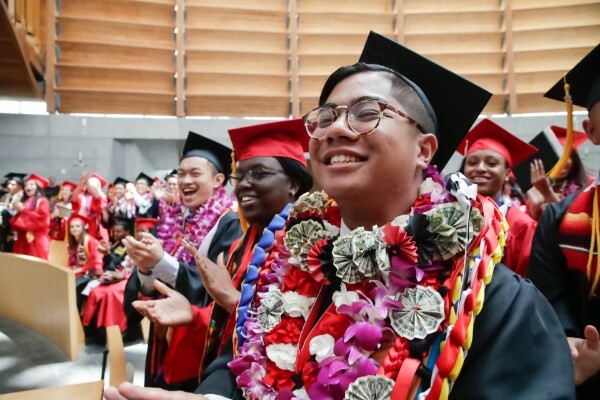 It's no surprise that 99 percent of our students enroll in colleges and universities across the United States year over year! 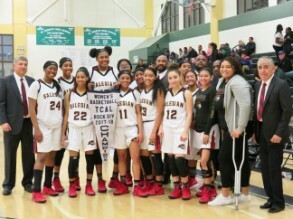 Salesian students experience learning that extends beyond the classroom. 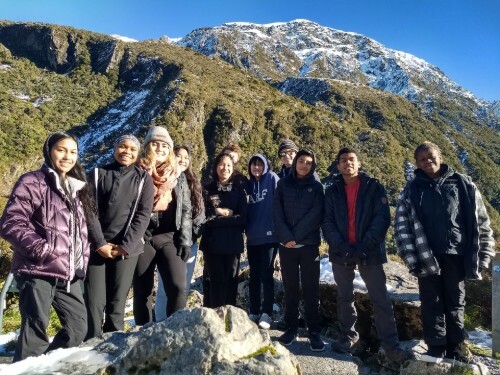 Throughout their high school experience students engage with different cultures, absorb new perspectives and gain skills that prepare them to make a positive impact as global citizens. By being part of a diverse student body, students learn to respect cultures, languages, religions and traditions other than their own. 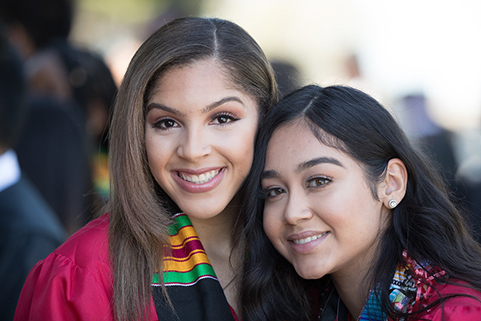 Salesian offers on-campus Spanish and French language courses; students can also learn other languages through the school's partnership with Contra Costa College. In addition, this year there are three international trips in which students can participate. 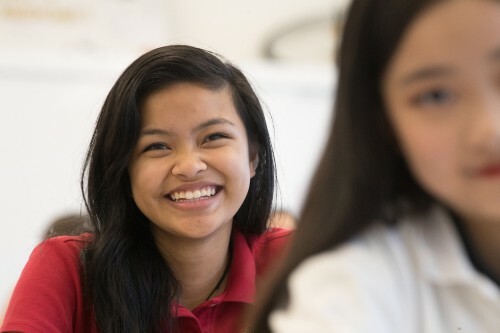 International enrichment opportunities provide a window into the world students will enter once they leave high school, including tackling the challenges of college and the modern workplace. Salesian students are talented, “roll up your sleeves”, get-involved sort of people. They join clubs (37 and counting), and when desired they form new groups. They are newspaper editors, class officers, artists and elite athletes. 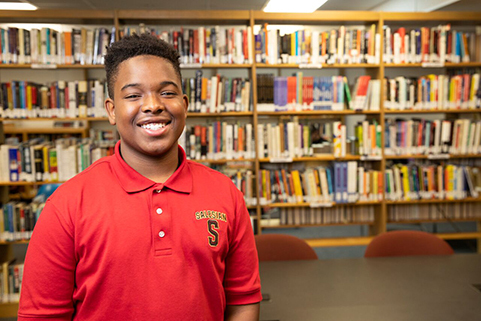 They step out of their comfort zone and take part in all that the school has to offer. 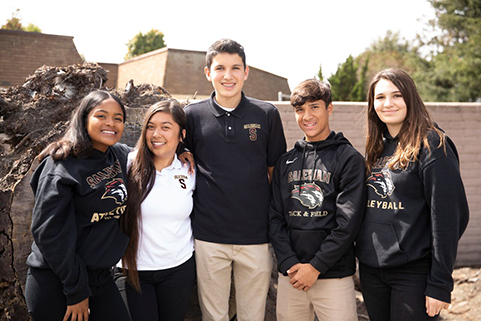 From the debate team to Habitat for Humanity, from drama to the Student Leadership and Ministry Club, from salsa to sports - Salesian are leaders on campus and in the community, and every day they rise to the challenge to fulfill their potential. At Salesian we believe that we are a community with a mission to bring love, compassion, justice and truth to one another and to our world. A Salesian education calls us to become good faith-filled people and honest and upright citizens. We’re called to do this together, as a school community. And, on one day each spring, the entire Salesian student body organizes into Faith Family teams and sets out to serve the community. 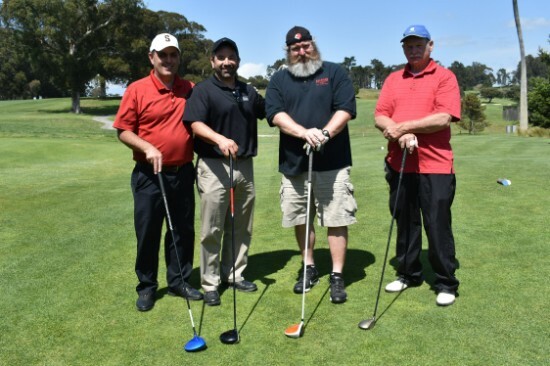 Recent event locations include the Bay Area Rescue Mission, Pinole Valley Watershed, Animal Refugee Response, and many more.